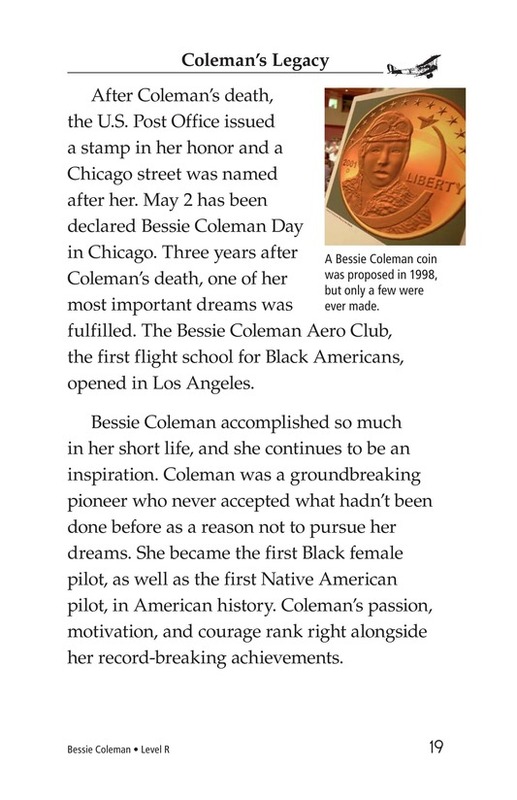 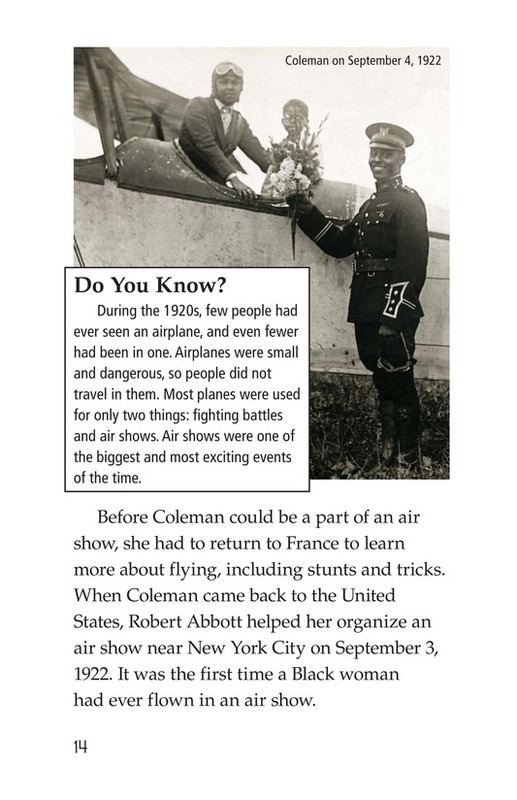 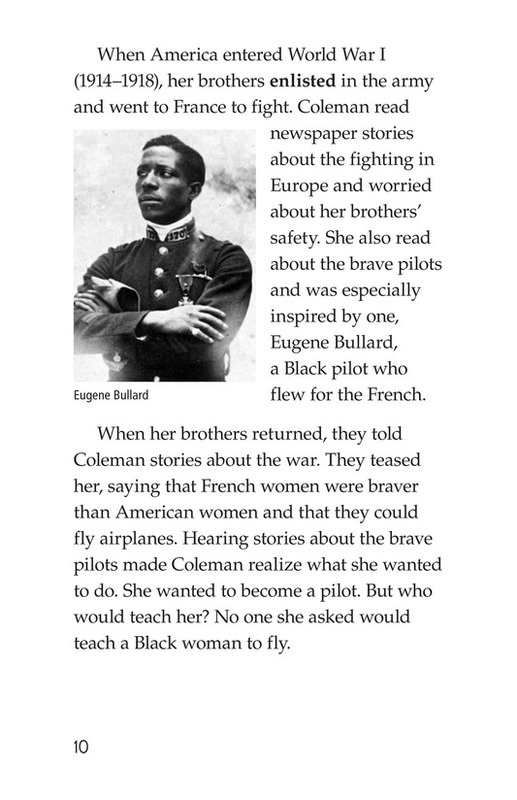 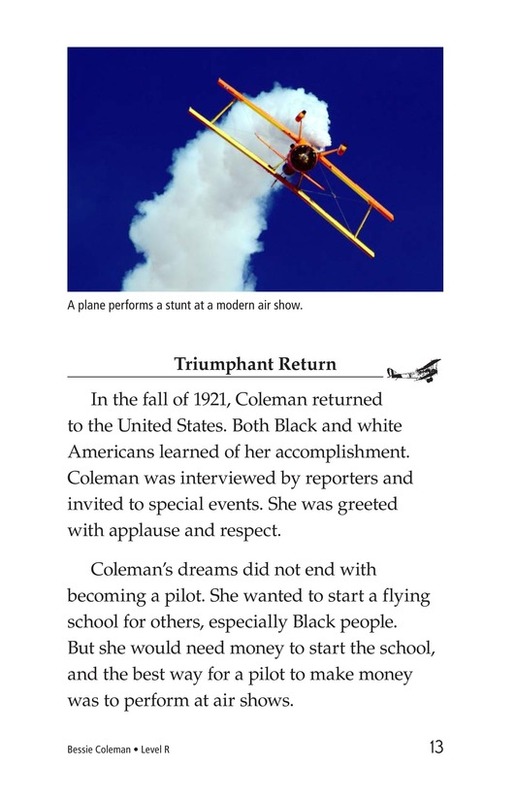 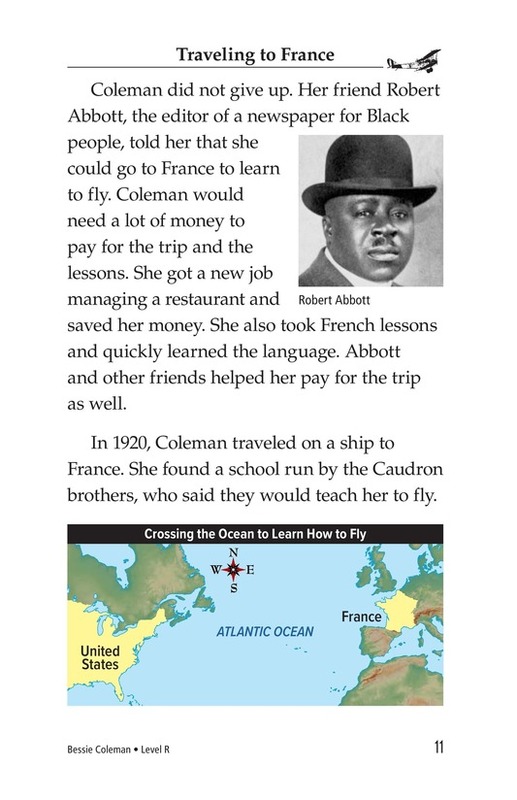 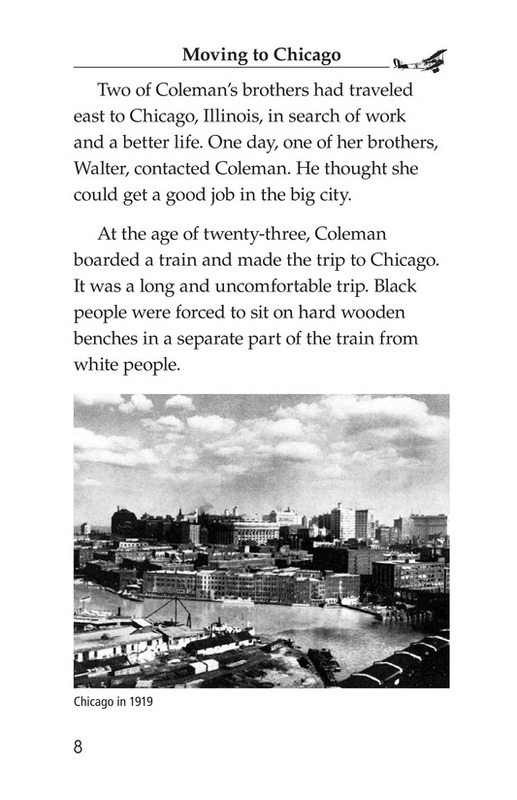 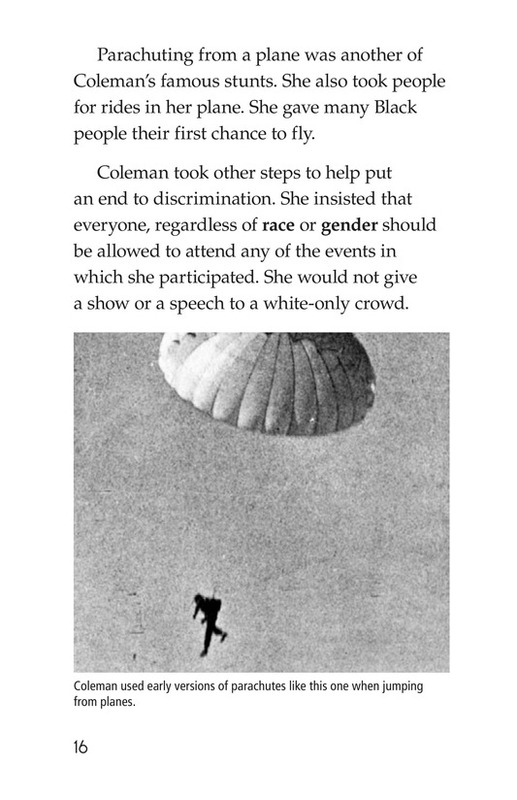 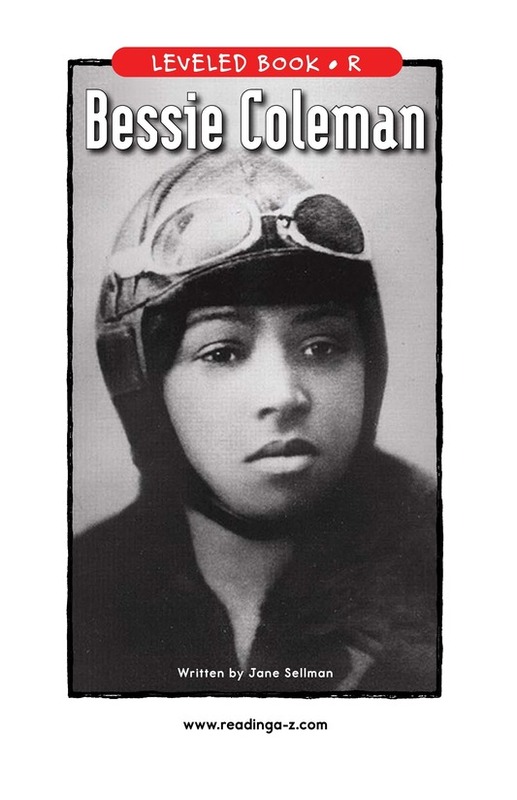 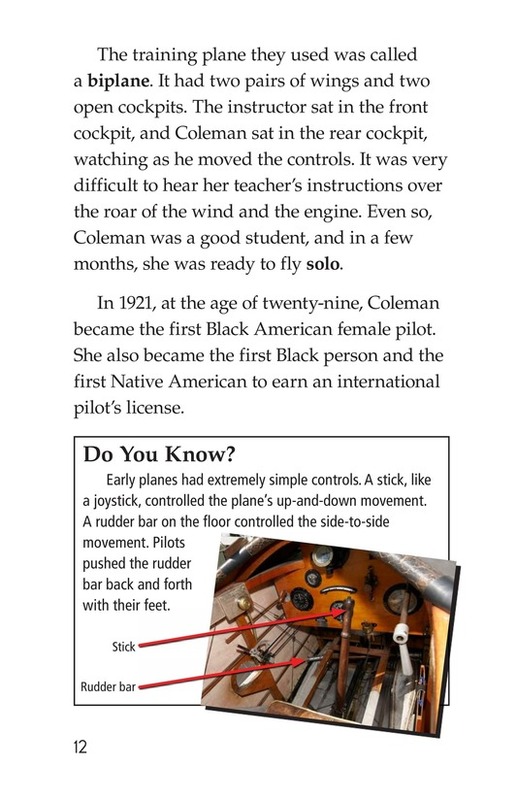 The first African-American female pilot, Bessie Coleman, was a brave pioneer. 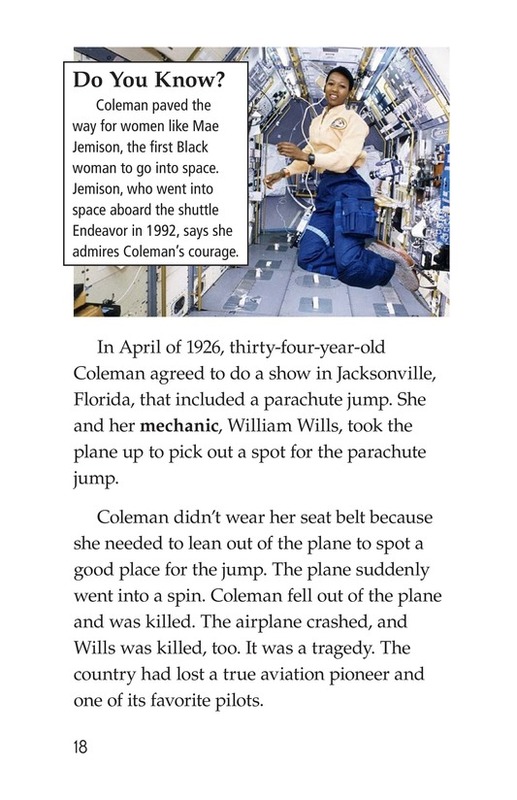 She set new standards for what women could do and achieve in the world. 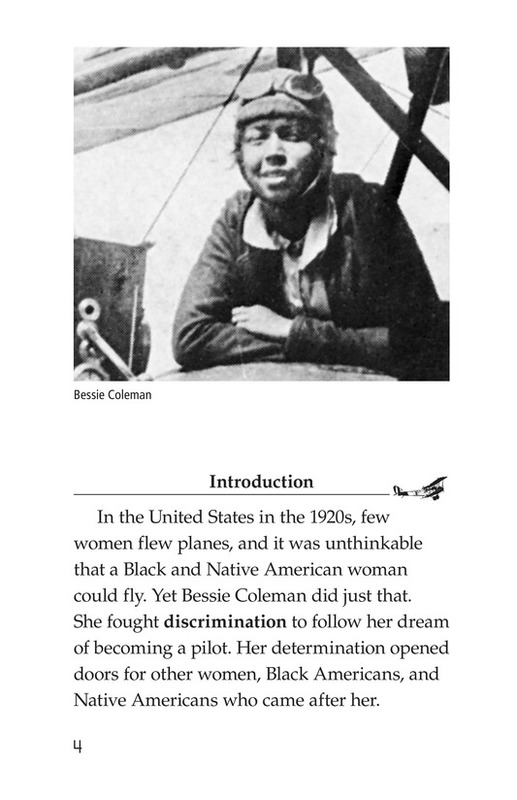 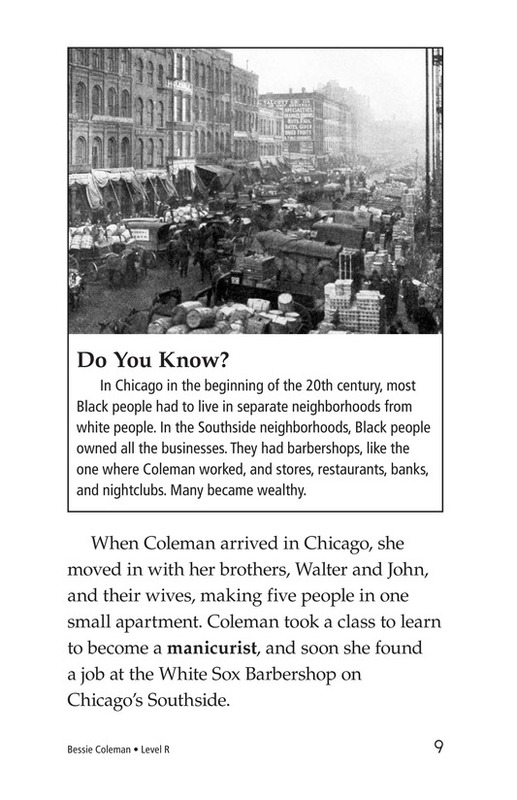 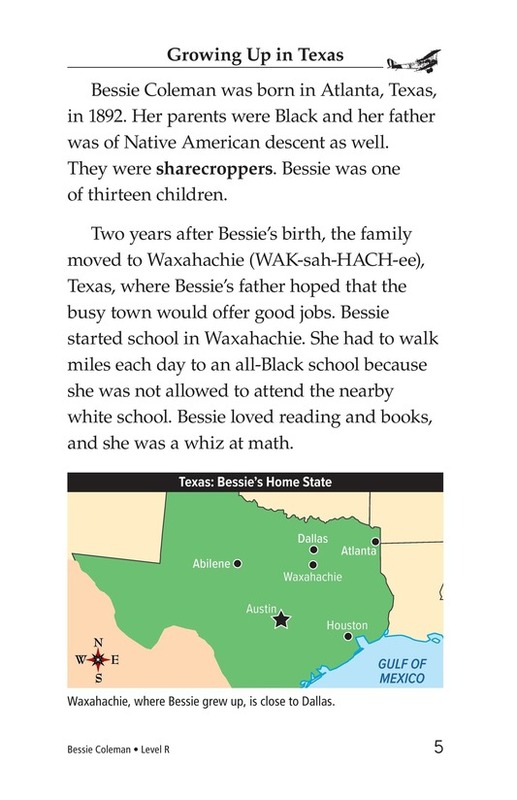 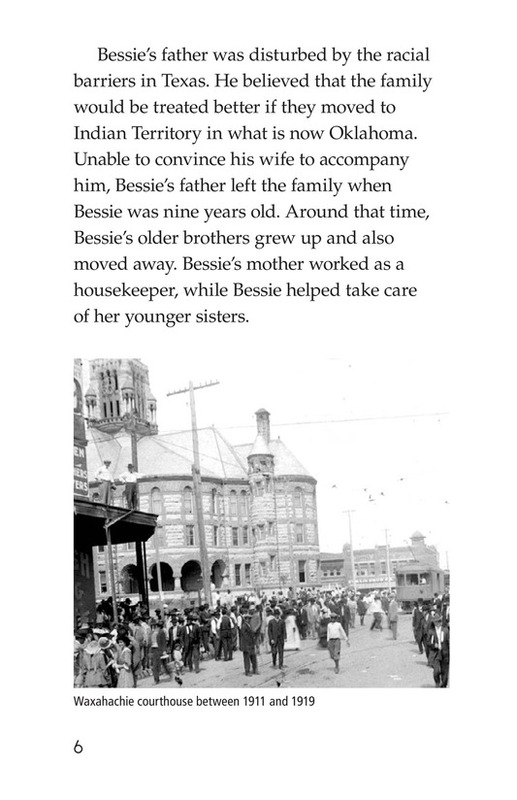 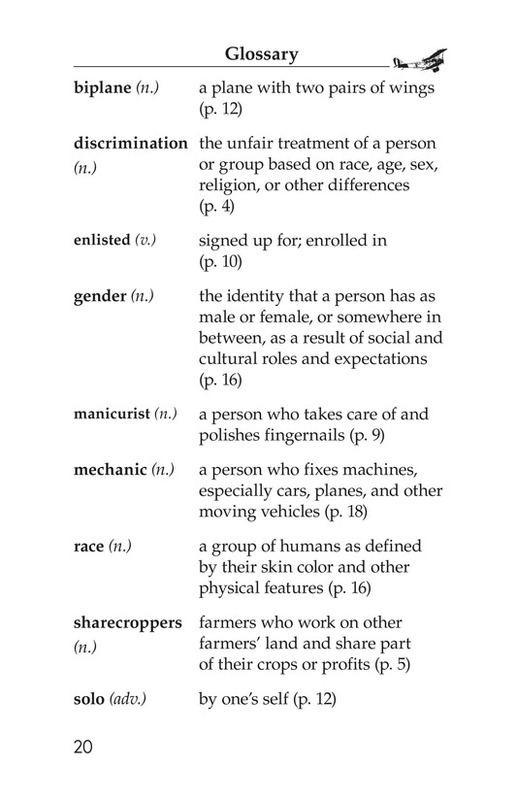 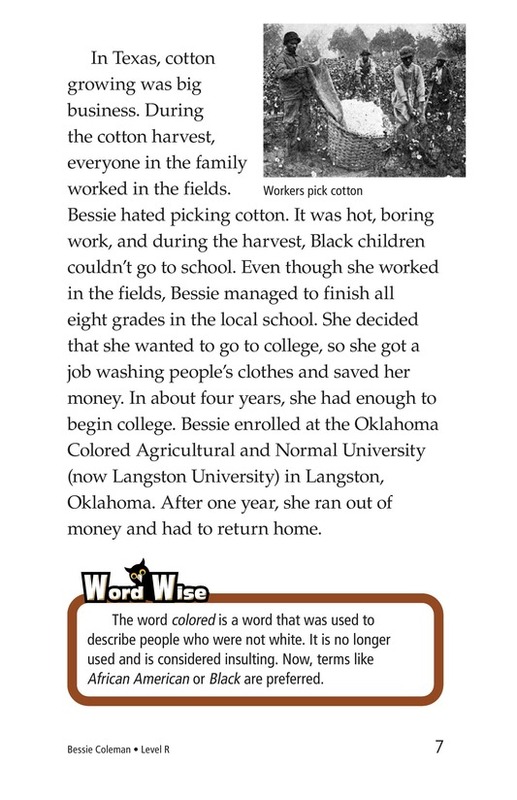 She also was instrumental in helping to create equal opportunities for African-Americans in the 1920s. 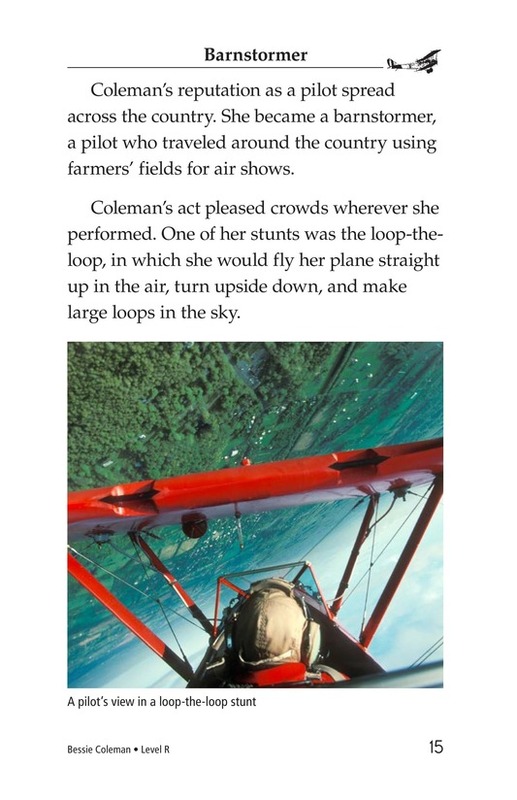 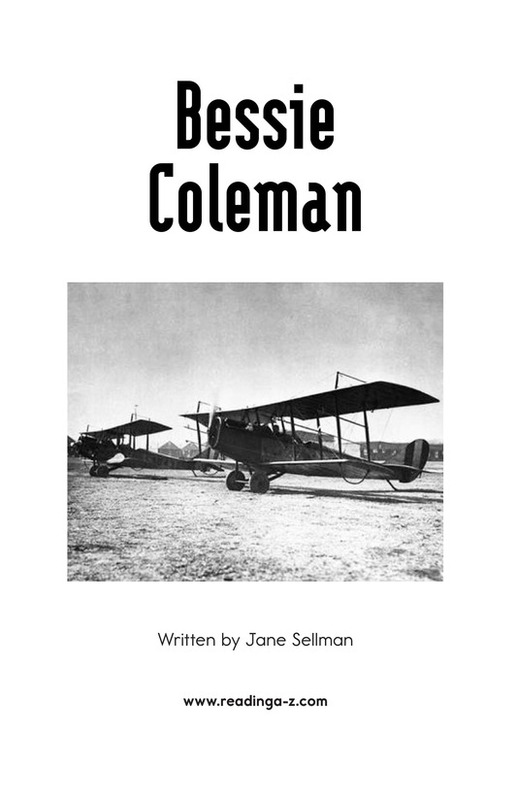 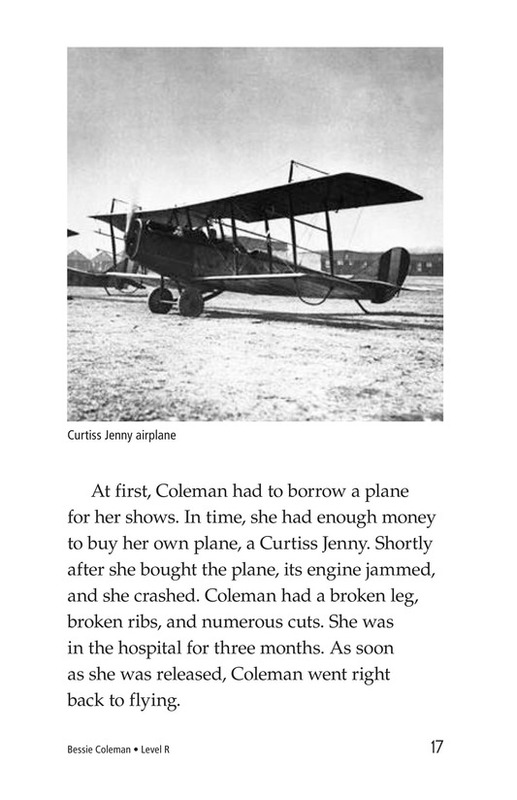 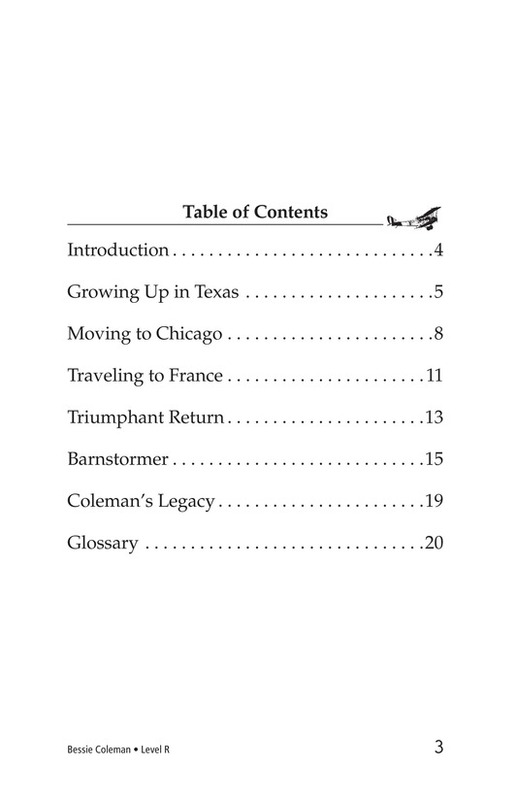 This informative book, filled with photos of Coleman and the planes she flew, chronicles her life from childhood to her tragic early death in 1926.